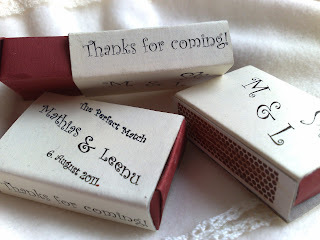 So it's time for the next wedding related post. This time the spotlight is turned to some matchboxes that our wedding guests were able to take with them as a memory of our beautiful day. I saw this idea at least a couple of times on different wedding-themed blogs ( sorry, i don't remember where exactly). I really loved the clever wordplay and thought it would be nice to recreate for our wedding. And so we did! 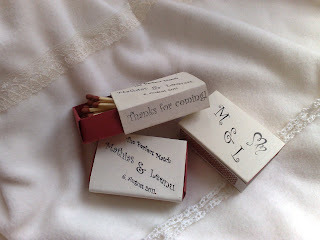 My hubby designed the texts and pretty much did everything else relating to the matchboxes (with help from his bestman). 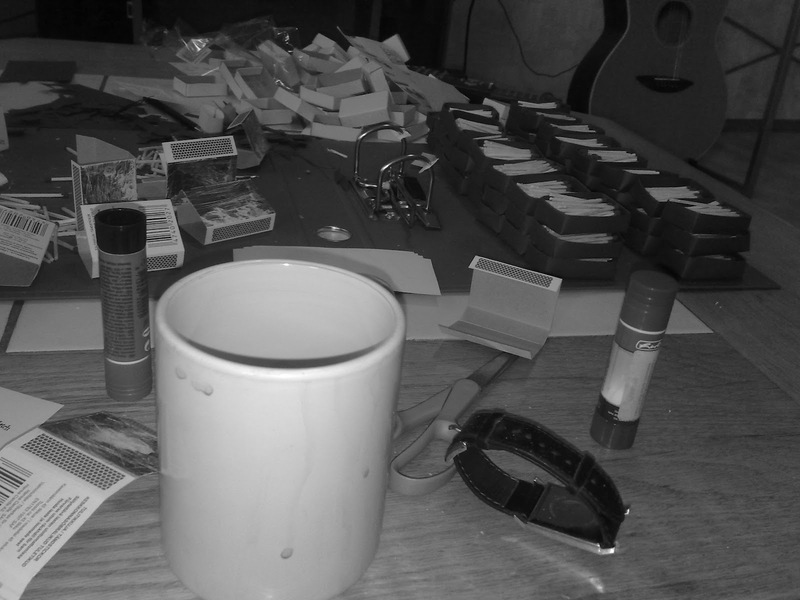 I helped also. 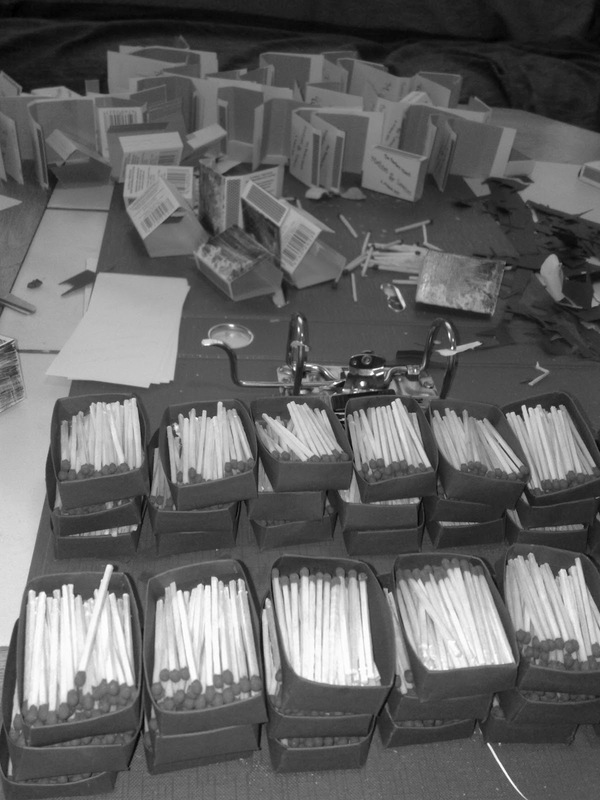 We made the insides of the matchboxes from red carton and glued the printed texts on the "cover" of the matchboxes. Here's a couple of pictures of the work in progress matchboxes. I wish you have a beautiful day!